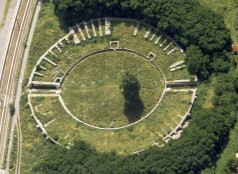 The Civil Town amphitheatre, the smaller of Aquincum's two amphitheatres, lies beyond the northern wall of the town. 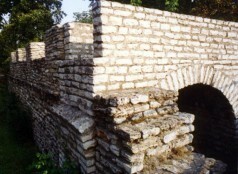 The Civil Town had a town wall from at least the first half of the 2nd century. 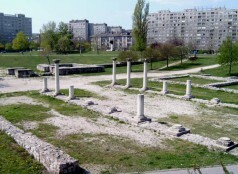 Mineral springs still flowing in modern-day Római Strandfürdő (Roman Lido) supplied one of the greatest architectural feats of Roman Budapest, the aqueduct. 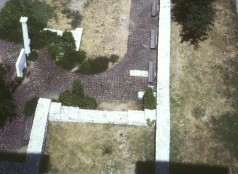 The main gate of the legionary fortress was facing the Danube and the enemy. 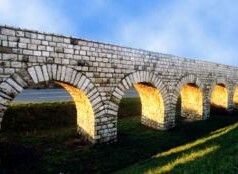 The porta principalis dextra, in its currently restored form, was built in the second half of the 2nd century. 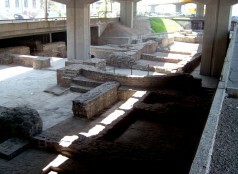 One of the halls of the baths of the legionary fortress was found in 1778, during the first archaeological excavation in Aquincum. 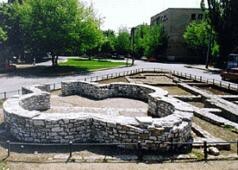 The administrative quarter did not only consist of the governor’s palace. 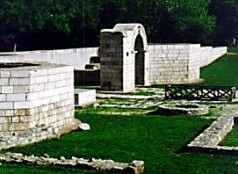 Connected to the quarter were the splendid villas, baths, temples, and rich houses in the northern and north-eastern strip of the Military Town in Óbuda, opposite the palace of the governor. 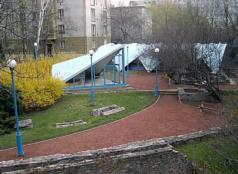 The ruins are at the intersection of Vöröskereszt Street and Miklós Street. The remains of an Early Christian burial chapel at the corner of Körte Street, Hunor Street and Raktár Street. 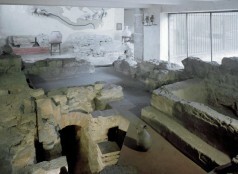 The inn and house excavated in the southern half of the Military Town are exhibited in the Military Town Museum.